Live the Diving Dream Contest (Asia Pacific) – Now in the final month! Congratulations Tyson White – Winner for November 2013! You still have time to encourage your divers to enter the PADI Live the Diving Dream contest. Entries close 7th January 2014. The winner for the month of November is 23-year-old Tyson White from Merewether Heights in New South Wales. Tyson completed his PADI Divemaster course with Lets Go Adventures, a PADI 5 Star Instructor Development Centre in Nelson Bay. December marks the sixth month of the Live The Diving Dream contest. To date, five new PADI Divemasters are all proud owners of Apple iPads. There’s still time to encourage your divers to enter the Live the Diving Dream contest. Monthly prizes of an Apple iPad will be awarded through to the end of 2013. Visit padi.com/livethedivingdream for further information and start to ‘Live the Diving Dream’. * No later than 7 days after the last day of the month in which the Entrant completed the PADI Divemaster course. Geo Divers – a PADI 5 Star Instructor Development Centre in Parramatta, NSW and one of Sydney’s foremost scuba retail outlets, has been recognized at the recent Western Sydney Awards for Business Excellence 2013 (WSABE), taking two of the top awards for Retail Excellence and Excellence in Sustainability. This is the second year in a row Geo Divers has taken a top WSABE gong in a major category, last year being awarded for Excellence in Sport and Recreation. Over 400 people attended the awards at the prestigious Waterview Centre in Sydney’s Olympic Park. “It is truly an honor to receive these two awards. In our retail customer service every day we strive to better understand our client’s needs and expectations, always aiming to deliver a premium service and the best retail experience available anywhere. We were delighted to be recognized for our education programs and activities with our divers in the environmental protection and sustainability areas. Starting as a local awards program run by the Parramatta Chamber Of Commerce 22years ago, the WSABE Awards now encompass the entire Western Sydney Region and attract over 300 entries. During the month of September, PADI Asia Pacific conducted a series of Risk Management Seminars in Australian capital cities presented by Richard Evans – Manager, Quality & Risk Management and Alex Boulton – Educational Consultant. Seminars were held in Sydney, Perth, Adelaide, Cairns and Brisbane with a Melbourne seminar to follow at a later date. PADI conducts Risk Management Seminars to assist dive professionals in identifying the risks associated with diving activities and to provide suggestions on how to alleviate those risks. Prior to the attending this year, PADI Members were provided with an actual diving incident for their review. At the meetings the diving incident was dissected and lengthy interaction followed between the presenters and PADI Members to identify what went wrong and what could and should have been done to prevent the incident from occurring. Following are some interesting comments from PADI Members who attended Risk Management Seminars. “Just thought I should write to thank you for your excellent presentation the other night. Both myself and my team got a lot of very useful, relevant, practical and important information from the night. It’s a shame that when many Instructors see a Risk Management Seminar, they treat the subject as a bit, “Ho hum, it will never happen to me, I am a great Instructor”. 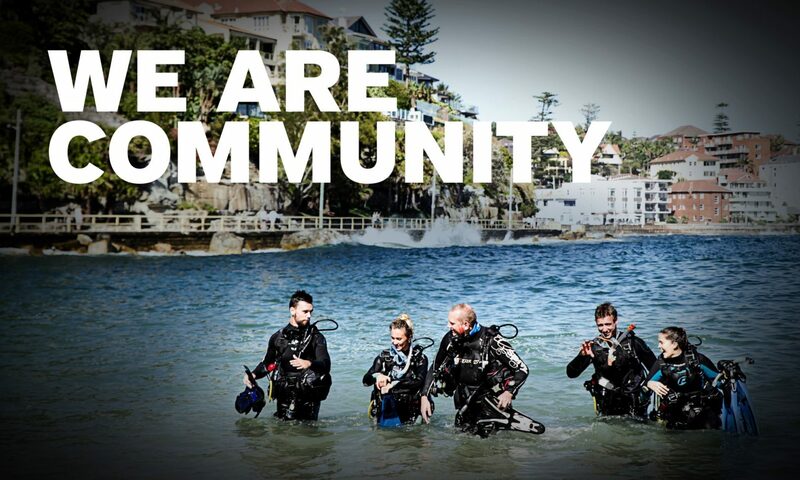 PADI Master Scuba Diver Trainer, Jason Bettinger from Kogarah, NSW, stated at the Sydney seminar, “PADI Risk Management Seminars provide relevant and well-timed updates that are key to reducing risk”. Bruce Beavis, a PADI Master Scuba Diver Trainer who also attended the Sydney seminar, found the dive accident scenario particularly helpful, “This topic always makes me think of how I can do things better”, he said. Also presenting at the Risk Management Seminars was Rob Veale of VInsurance – part of the Willis Insurance group and PADI Asia Pacific’s brokers – to introduce the 2013-2014 PADI Pro Combined Liability Insurance Policy. PADI Members attending had the opportunity to ask questions and receive advice from Rob in relation to the various features and benefits of the policy. For questions in regards to the PADI Pro Combined Liability Insurance Policy, or any other enquiry regarding insurance, please contact Sarah Whitehall directly at: 61 2 9285 4196, or at whitehalls@willis.com. The Live the Diving Dream Contest is open to anyone who completes the PADI Divemaster course in the PADI Asia Pacific territory from July to December 2013. You simply enter, tell us what you enjoyed about the PADI Divemaster course and gain a chance to win one of six Apple iPads! The first monthly winner in the Live the Diving Dream Contest was Phil Voss from Singapore and now PADI are proud to announce that Ellie Davidson from Exmouth in Western Australia, is the winner in the competition for the month of August. Ellie completed her PADI Divemaster training with PADI 5 Star Instructor Development Centre, Exmouth Diving Centre in Western Australia and entered the competition during August. Western Australia is fast becoming a world-renowned dive destination and for a very good reason. From the vibrant capital city of Perth, as well as the surrounding regions, you can easily explore the beautiful dive sites such as Rottnest Island and many other stunning local sites this region has to offer. Western Australia also boasts some spectacular wrecks such as the HMAS Swan Wreck, or the opportunity for a chance encounter with a mesmerising whale shark off Exmouth or Coral Bay near Ningaloo Reef. Read more about diving in Australia.